Do you have a great pet photo you would like to share? We would love to use it for our weekly Facebook Cover Photo. Please read all about how Funny Bones was created on our About Us page. 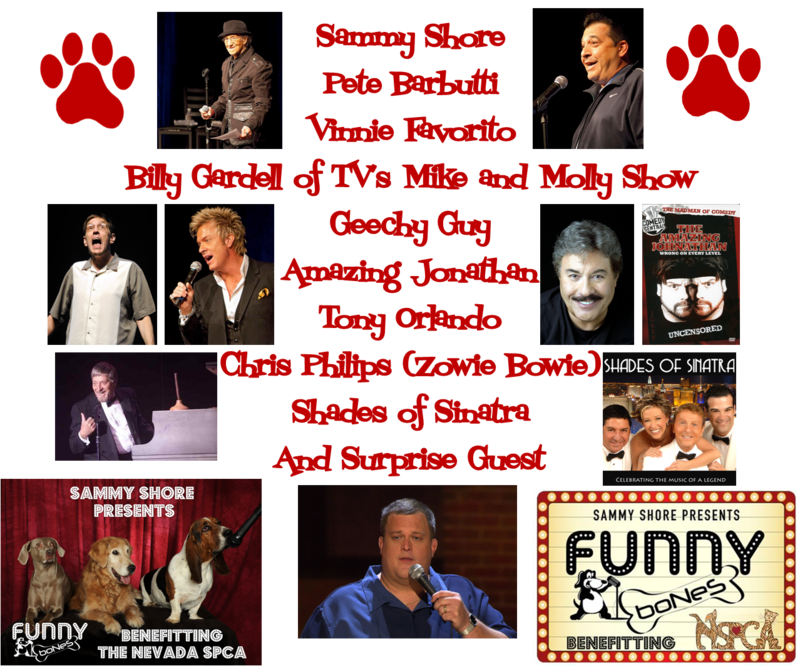 The 2013 Funny Bones live comedy show will take place on Sunday, June 9, 2013, beginning at 2pm, in The Showroom at The Orleans Hotel & Casino in Las Vegas, with a celebrity red carpet at 1pm. Sammy and Suzanne Shore created Funny Bones to raise money for animal rehabilitation. The proceeds of the shows are donated to animal rescue charities to support their advanced medical care for rescued animals. 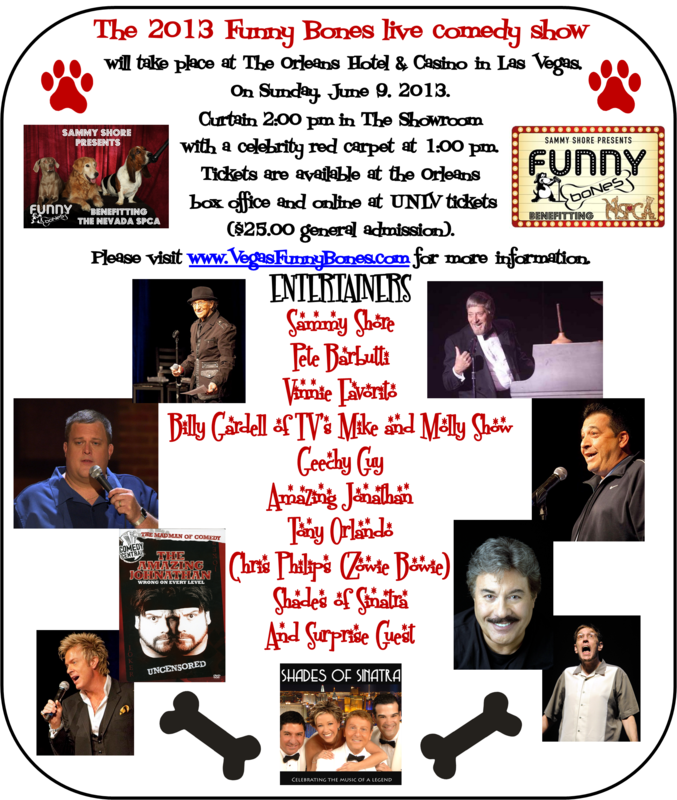 The 2013 Funny Bones show will benefit Nevada SPCA’s advanced medical care fund to save and rehabilitate animals in southern Nevada in desperate need.